The tumultuous final days of the reign of Queen Elizabeth I find powerful expression in Donizetti’s Tudor drama. 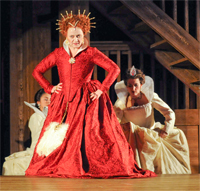 Queen Elizabeth I, the central character in Roberto Devereux, has always attracted the foremost divas of their day. That tradition now continues with Sondra Radvanovsky, the world’s leading interpreter of the great 19th-century Italian prima donna roles. 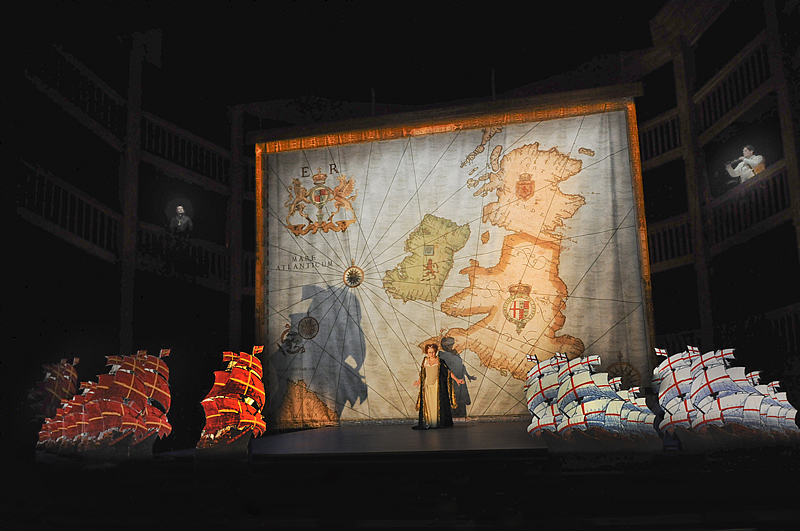 Donizetti’s show-stopping melodies and sumptuous period costumes bring the intrigue of the Elizabethan court to life within a Shakespearean-inspired Globe Theatre setting. Performance time is approximately three hours including two intermissions. 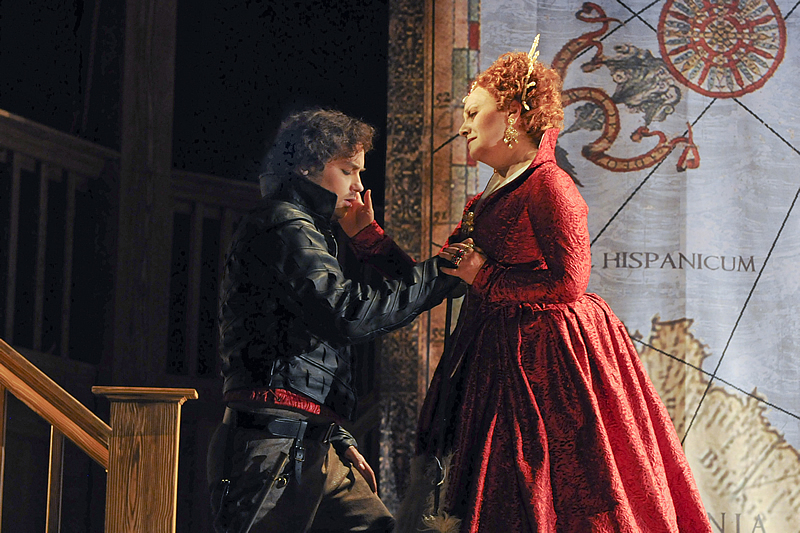 Elisabetta has sent her beloved Roberto Devereux, the Earl of Essex, to lead a military expedition to Ireland. Against the Queen’s orders, Roberto has signed a peace treaty with the Irish rebels. Jealous of his favourable position with the Queen, her advisors seize this opportunity to push through a charge of treason against him. Parliament prepares to discuss charges against Roberto Devereux. Sara, the Duchess of Nottingham and close friend of Queen Elisabetta, is plagued with guilt for having an affair with Roberto. Elisabetta arrives and expresses her love for Roberto, and confides to Sara that she suspects Roberto of being unfaithful. The Queen is interrupted by a visit from Lord Cecil and Gualtiero who convey the Parliament’s frustration over her leniency towards Roberto. To stall the Parliament, she demands more proof of guilt before making a decision. When a page arrives with a request from Roberto (who is under house arrest) to meet with the Queen, her heart is stirred with a hope that their affection will be rekindled and she agrees to the visit. Elisabetta meets Roberto in private and reminds him of the ring she gave him, a special token that will guarantee his safety if he only sends it back to her. She tries to win his heart by reminding him of their happy days together. Roberto is shocked at Elisabetta’s tenderness towards him and accidentally reveals that he is in love with another woman. Seeing Elisabetta’s initial anger escalate to fury, he tries to deny everything but the damage has been done: Elisabetta is set on vengeance against Roberto and the woman who has won his affection. With Elisabetta infuriated, Roberto’s only remaining ally is the Duke of Nottingham (Sara’s husband). Nottingham discloses to Roberto that he observed his wife sobbing while embroidering a blue scarf and expresses his concern over his wife’s secret suffering. Their exchange is interrupted by Lord Cecil who summons Nottingham on behalf of the Queen to a meeting of the Parliament to decide on Roberto’s sentence. Nottingham vows to save his friend. Roberto can’t resist a secret meeting with his beloved Sara while Nottingham is out. He berates her for getting married while he was at battle. She explains that after her father’s death, the union was ordered by the Queen to ensure her financial stability. Sara also reminds him of his previous royal affection by pointing to his ring. They acknowledge their mutual love but realize that they can never be together. Roberto pledges his love by giving his ring to Sara as a parting gift and she gives him her blue embroidered scarf in return. At the hall at Westminster, the Parliament reaches a decision and Lord Cecil informs the Queen of the verdict: the death penalty. Only Elisabetta’s signature is needed for the execution to be ordered. She dismisses the court for a private meeting with Gualtiero, one of her trusted spies. Gualtiero confirms that Roberto was arrested after being out until dawn; when searched, they found a blue scarf hidden under his shirt. Gualtiero produces the scarf as proof of his story. Upon careful examination Elisabetta notices love knots embroidered into the scarf, which verify her suspicions, and fuels her decision to agree to sign Roberto’s death warrant. Nottingham begs the Queen to have mercy on Roberto. His pleas are silenced when Roberto is brought in and Elisabetta reveals the blue scarf demanding to know its owner. Recognizing the scarf as belonging to his wife, Nottingham is horrified at Roberto’s betrayal. In a fiery jealous rage, the Queen signs the death sentence. In a letter from Roberto, Sara learns of his imminent execution. In the letter, he implores her to take the ring back to Elisabetta, the one that is supposed to guarantee his life. Before she can leave, Nottingham returns and upon seeing the letter from Roberto, he demands to read it. Understanding that returning the ring may spare Roberto’s life, Nottingham orders Sara not to see the Queen. Alone in the tower of London, Roberto reflects on his life of lies and indiscretions with great regret. He remains hopeful that Elisabetta will receive the ring and pardon him. The guards arrive and Roberto allows himself to be led to his execution without protest. Elisabetta has unresolved feelings about signing Roberto’s death warrant. She desperately hopes Roberto will return her ring as a sign of his renewed devotion. To her horror, Cecil enters and informs her that Roberto is being led to his execution. At that exact moment, Sara bursts in and unable to speak, hands the ring to Elisabetta, silently identifying herself as the Queen’s rival. 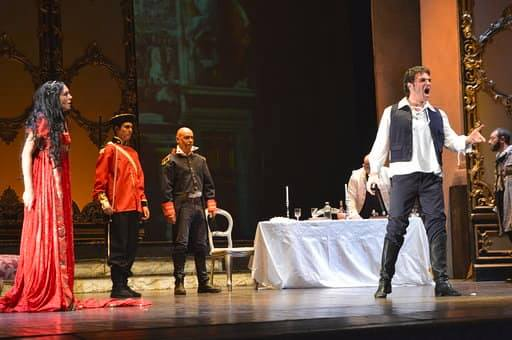 It is too late: a cannon shot is heard signifying the fatal blow has been delivered and Elisabetta lashes out at Nottingham and Sara for their part in Roberto’s death. They are taken into custody and the Queen laments the events that led to her bloodstained crown. Haunted by Roberto’s severed head and the destruction she has rained on her subjects, Elisabetta longs for death. The Queen gives up her royal power by declaring King James of Scotland, her nephew and heir to the throne, the new King of England. Fri. Apr. 25, 2014 at 7:30 p.m.
Tues. Apr. 29, 2014 at 7:30 p.m. Sat. May 3, 2014 at 7:30 p.m. Sat. May 10, 2014 at 4:30 p.m.
Thurs. May 15, 2014 at 7:30 p.m.
Sun. 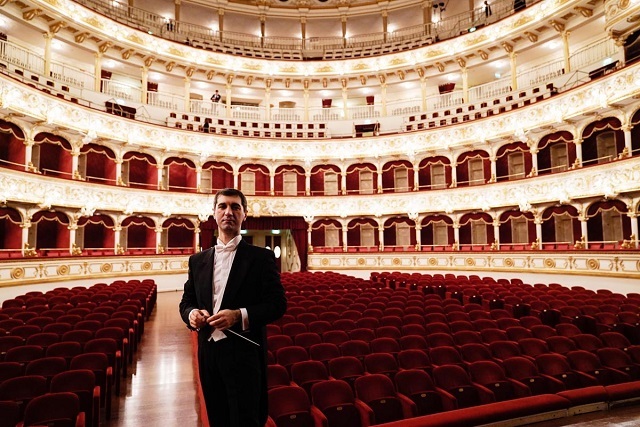 May 18, 2014 at 2 p.m.
Wed. May 21, 2014 at 7:30 p.m.
Born on November 29, 1797 in Bergamo, Italy, composer Gaetano Donizetti enjoyed tremendous popularity throughout Europe. His operas, together with Bellini’s, came to epitomize the Italian Romantic spirit of the 1830s. Donizetti was given free admission to Simon Mayr’s school for choir boys when he was nine years old, and Mayr proved to be a major influence on the composer. 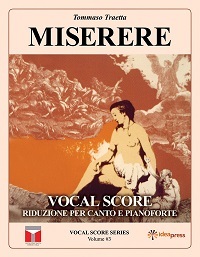 In 1814, he provided Donizetti with the financial and moral support he needed to move to Bologna to study counterpoint (the use of multiple melodies). Three years later, when Donizetti returned to Bergamo having decided he would be a composer of opera, Mayr secured a contract for him with a company in Venice for which Donizetti wrote four operas. 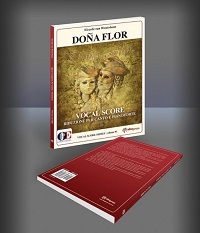 Donizetti’s first notable work was his production of Zoraida di Granata in Rome in 1822. For the next several years he produced two to five operas a year, from one-act farces to full-length serious works; these were presented in Naples, Rome, Palermo and Genoa. In 1828 Donizetti married Virginia Vasselli, and although she bore them three children, none survived infancy. Virginia herself was stricken with cholera and died an early death in 1837. The loss of her companionship is said to have had a profound and lasting impact on the composer. 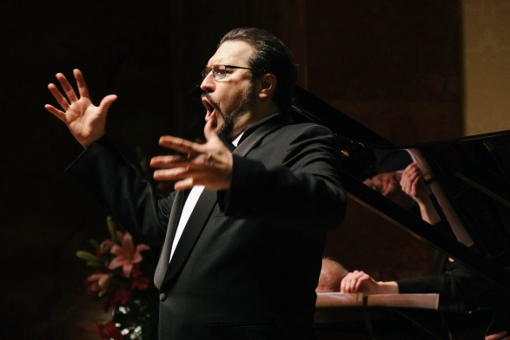 1830 saw Donizetti’s first international success with Anna Bolena, and by that time he had written 23 operas. 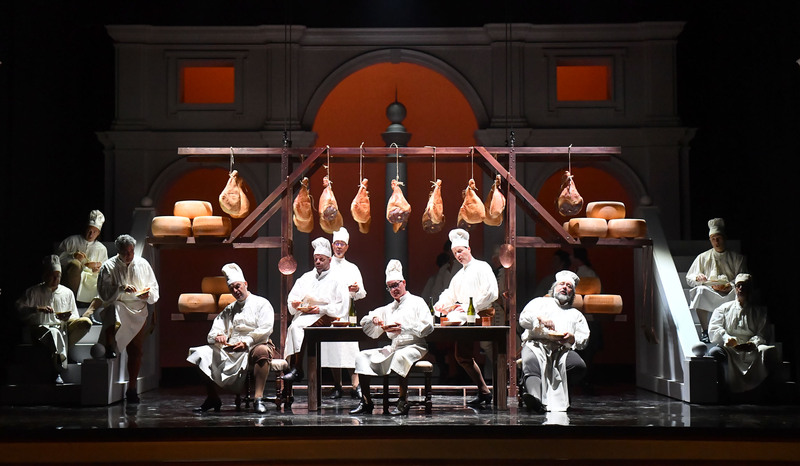 Although his next opera was a fiasco, L’elisir d’amore, produced in 1832, set things right again. His controversial Maria Stuarda premiered in 1834. In 1835, Rossini invited Donizetti to visit Paris to present Marino Faliero at the Théâtre-Italien. This was Donizetti’s first experience with opera in the grand tradition, and he was impressed with the artistic standards and the lucrative pay. 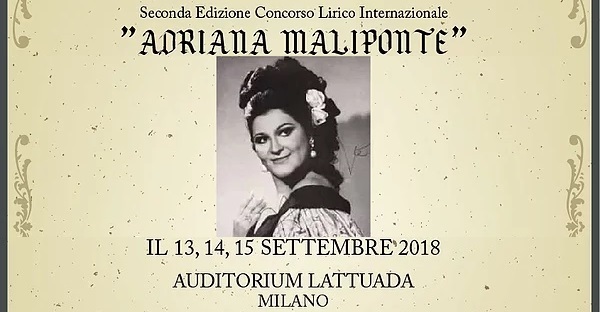 Although he returned to Naples later that year to write and produce Lucia di Lammermoor (based on Sir Walter Scott’s novel, The Bride of Lammermoor), he did not stay long. The death of his wife and his disillusionment with the operatic world of Naples prompted Donizetti to move back to Paris in 1838. During his first two years in France, Donizetti’s operas were performed in four Paris theatres, much to the chagrin of contemporary French composers. He rewrote the score of Lucia for a French production, and though not the artistic success of the Italian original, the exposure it received established his reputation as an eminent European composer. 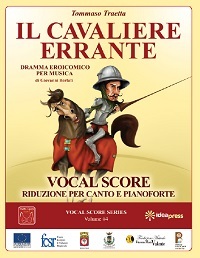 Among the many operas Donizetti wrote in his later years were La fille du régiment (1840), La favorite (1840), Don Pasquale (1843) and Dom Sébastien (1843). 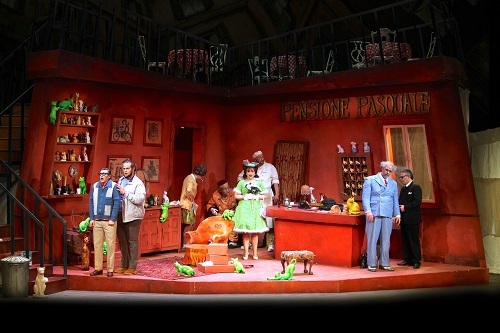 Don Pasquale became an overnight success at Paris’s Théâtre-Italien and was widely regarded as a comic masterpiece. 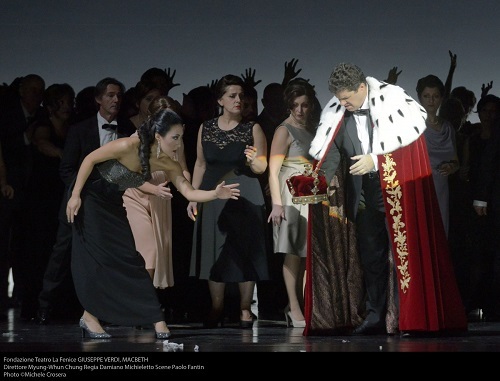 In rehearsal for his last opera, Dom Sébastien, Donizetti’s behavior became erratic and obsessive. It was discovered that Donizetti was suffering from cerebro-spinal degeneration of syphilitic origin, and he was sent to a sanatorium near Paris. Although he was returned home to Bergamo in October 1847, Donizetti was paralyzed and unable to speak more than monosyllables. He was attended by friends and family until his death on April 8, 1848. 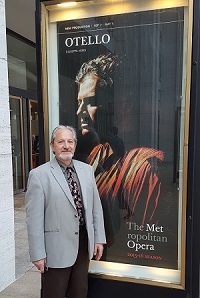 This entry was posted in Music, OPera and tagged Bergamo, Canadian Opera Company, Elisabetta, EnglandParliament, Four Seasons Centre, London, Nottingham, Roberto Devereux, Sandra Horst. Bookmark the permalink.